The New Year is nearly upon us! In just a few days, it will be slán; a 2016; fáilte, a 2017! (Goodbye, 2016; welcome, 2017). Do your new year’s resolutions this year have anything to do with the Irish language? We’ll give you some tips on keeping those resolutions below, along with some Irish toasts for the new year to liven up your celebrations. How to wish someone “A happy New Year” in Irish Gaelic. We’ve all done it. We’ve all made wonderful resolutions on New Year’s Eve that somehow disappeared in the cold light of New Year’s Day. Buy yourself a few good books. This is especially useful if you’ve been learning for a while and need a bit of a push to keep going. There’s nothing like opening a package of brand-new lesson books, novels, learning CDs, etc., to get your enthusiasm going again! For information on where to buy Irish books, check out our post on Learning Irish Through Reading. Start labeling. Get a packet of Post-it notes and your favorite English-Irish dictionary and start labeling things in your house: walls, doors, windows, etc. Not only will that help you remember the names for these things, every time you see one of your notes, it will be a reminder to study. Join (or start) a discussion/study group. 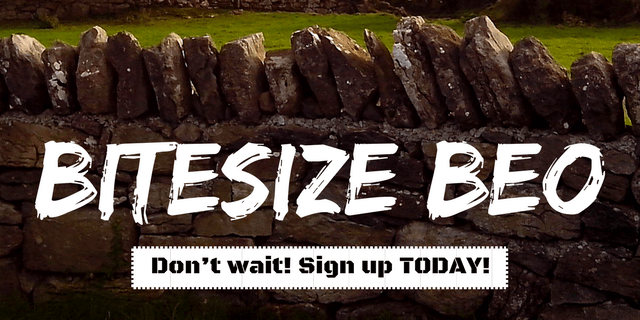 You may think there is no one else in your area interested in Irish, but you might be surprised! Consider taking out a classified ad or posting a notice announcing the formation of an Irish study group and see what happens! Get involved with an on-line discussion forum. Joining one of the on-line discussion forums can be a great way to stay motivated. As of this writing there are two groups that offer free discussion forums for learners of all levels: Irish Language Forum and Daltaí na Gaeilge. For more advanced learners, there’s a great Facebook page called Gaeilge Amháin (as the name suggests, posts there are in Irish only). However you do it, staying motivated is the key to keeping your resolutions! For more tips on staying motivated with your language goals, check out our post on Language Journeys: How to Keep Going. 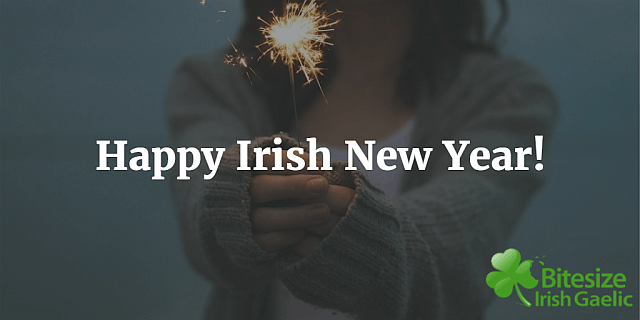 Meanwhile, here are a few phrases in to put some Irish-style pep into your New Year’s party! For example, maybe you’d want to wish someone a Happy New Year in Irish? Well we made a pronunciation video just for this occasion! Athbhliain faoi mhaise duit! (AA-vlee-un fwee WASH-uh ditch): “Happy New Year!”(literally “A beautiful/adorned New Year to you!). Said to one person. Athbhliain faoi mhaise daoibh! (AA-vlee-un fwee WASH-uh DEE-iv): “Happy New Year!” Said to multiple people. Go mbeirimid beo ag an am seo arís! (Guh MAYR-ih-mwij byoh egg un am shah uh-REESH! ): “May we all be alive at this time again [next year is implied]”! A deich, a naoi, a hocht, a seacht, a sé, a cúig, a ceathair, a trí, a dó, a haon…Athbhliain shona! (uh jeh, uh nee, uh hokht, uh shakht, uh shay, uh KOO-ig, uh KAA-hir, uh tree, uh doh, uh hayn…AA-vlee-un HUN-uh!). All of us here at Bitesize Irish Gaelic wish you and yours a happy and prosperous 2017! If you found this to be helpful or interesting, let us know your thoughts below. On the subject of setting up a group locally, I’d like to point out our e-book that Audrey contributed to, “Setting Up a Local Irish Gaelic Study Group”. I like labeling things because I see it and learn to associate the sight with the identification of it in my head.